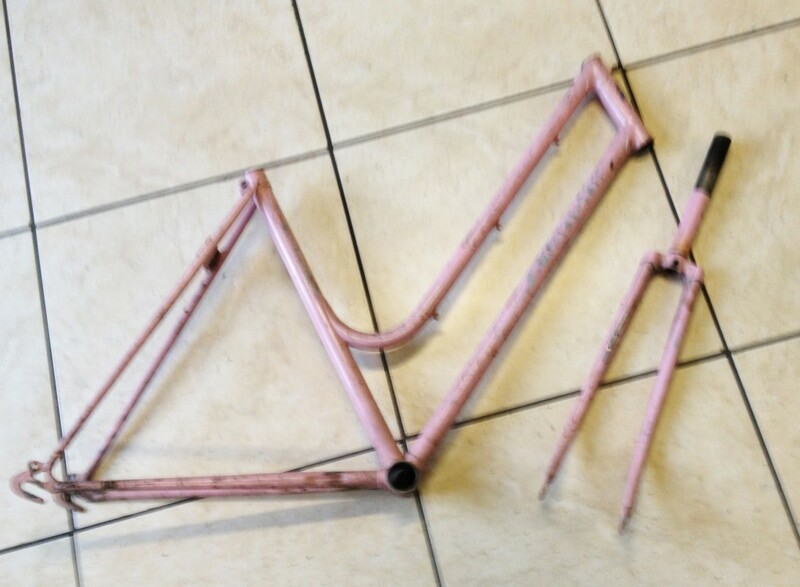 I was lucky enough that Matteo’s grandad had an old pink Italian Bianchi bike. Bianchi is a really old and famous brand of bicycles here in Italy. Almost everybody has had at least one Bianchi bike! Mine was quite old and not in really good conditions (sorry I don’t have a picture of how it used to be, but from the next one you’ll get the idea of the shape and color). But I was a student with little money and I use to leave it every day outside at the train station, with a quite high risk of coming back at night and not finding it. So it just stayed as it was. Then we moved to Madrid, and there the distances are bigger than in Padova and I had about a hour of metro every morning to get to work. 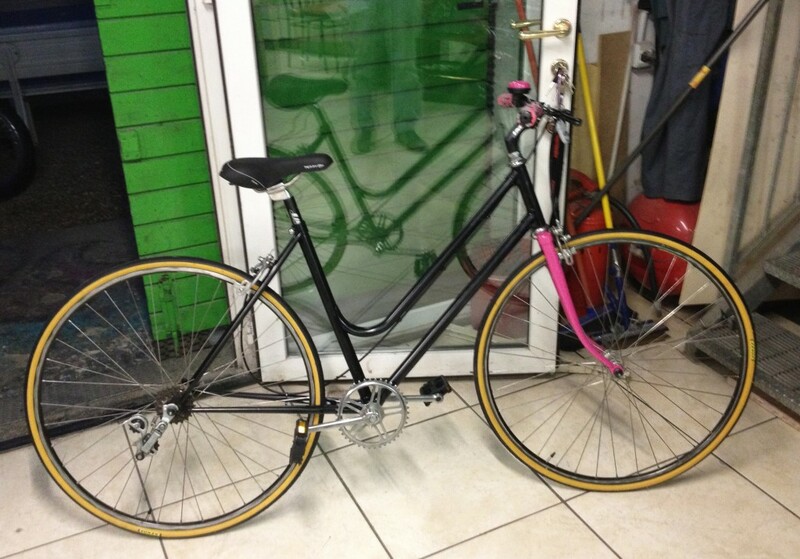 But I missed my pink bike. So one of the times we went to Italy to visit our families Matteo decided to give it a little revamp and this is how it come out! You see my face: I felt on top of the world! 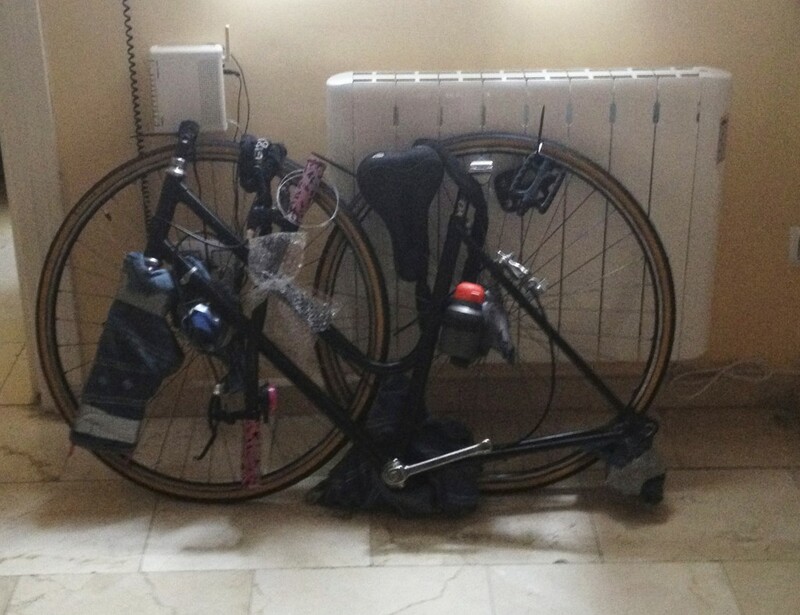 I could take my bike to Madrid and actually ride it there. Despite the hills and the cars my “new” bike was going to take me everywhere: it was light, with a derailleur and racing wheels. But let’s take a step back. Matteo disassembled it. 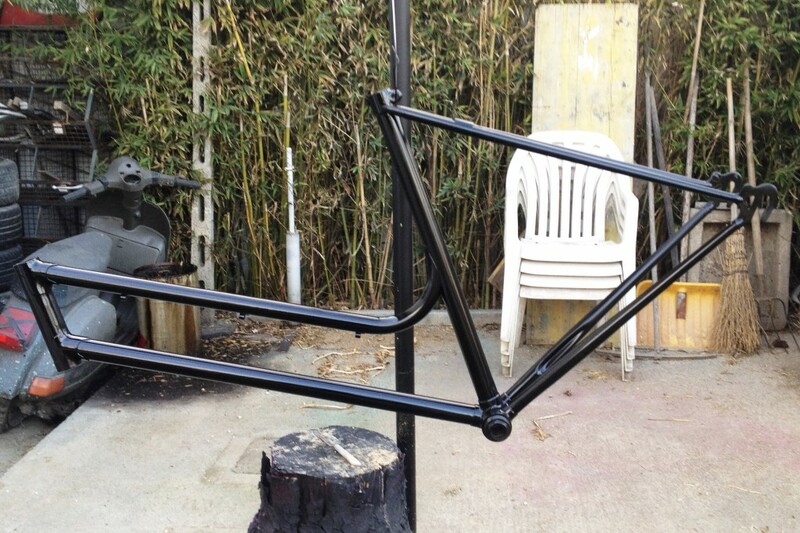 He sanded the frame and fork and painted them in two different colors: black and bright fuchsia. 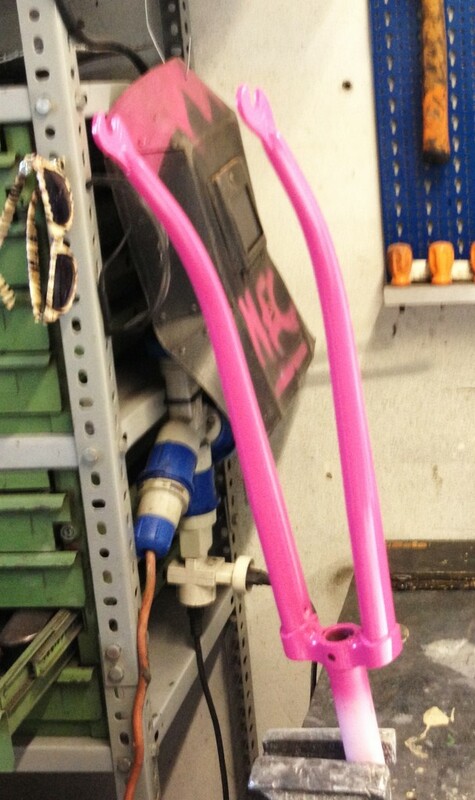 As you see from the next photo we bought many new parts: a seat, slim racing tires, new handlebars and levers. 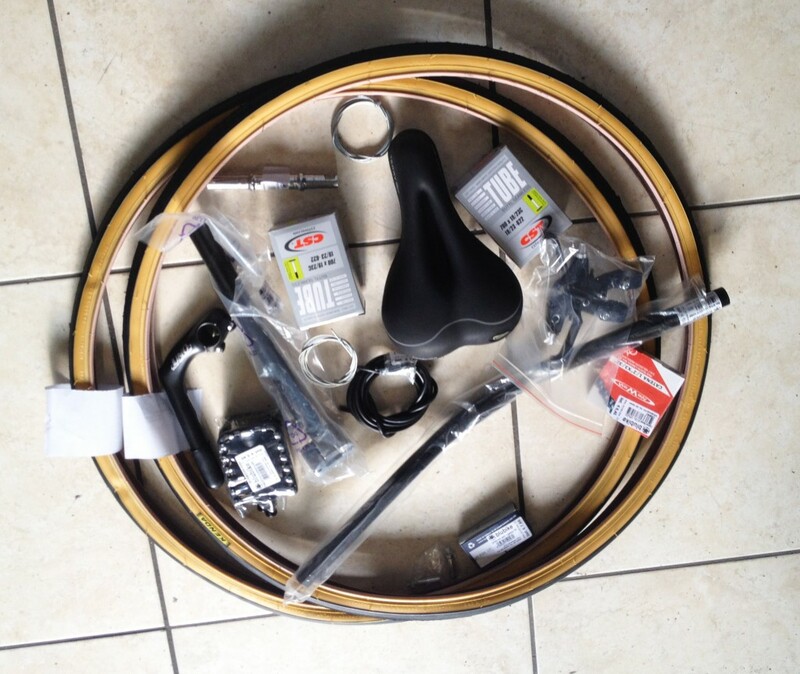 Luckily Matteo’s dad had most of the expensive parts, as the racing rims, the rear derailleur, the chainring and the old-school shifter (which is set on the down tube as on vintage bikes). 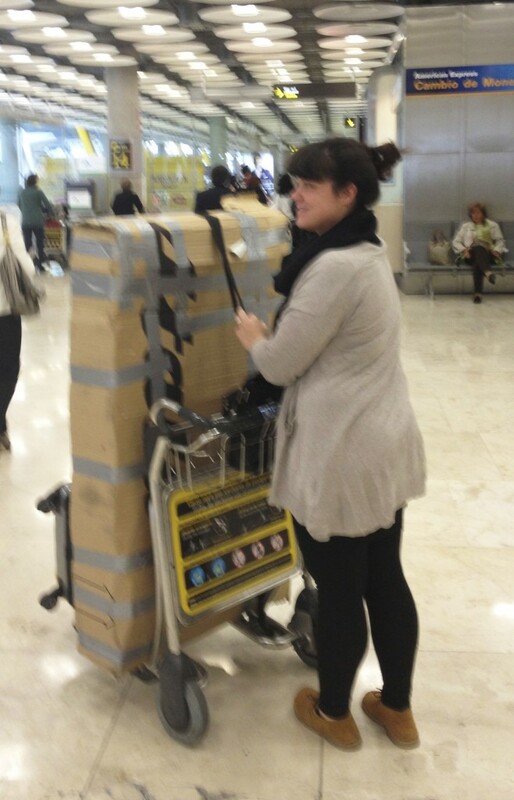 The funniest part was actually taking it to Spain. Sending it was too expensive, so we just opted to take it with us on the flight back. So Matteo had to disassemble it again and make it fit in a box. It was like a puzzle or a transformer. 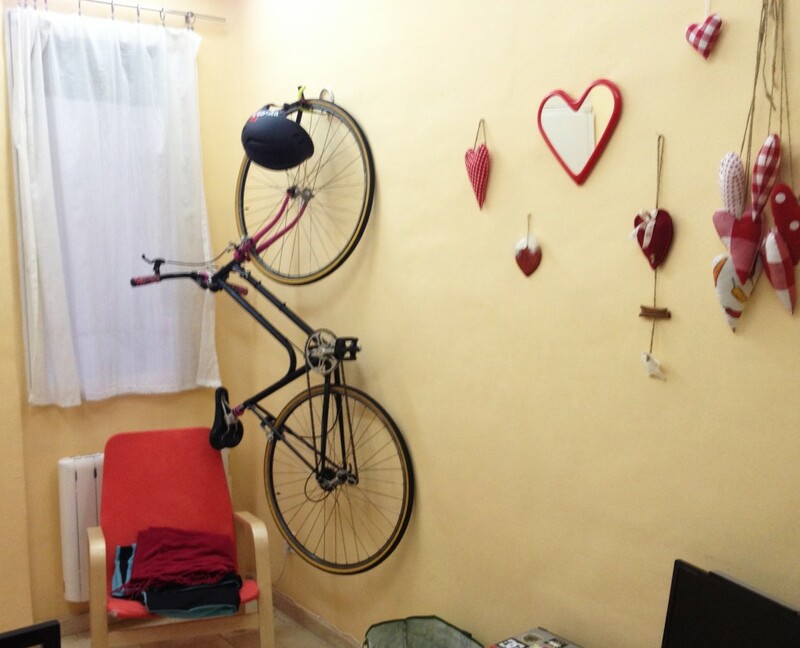 When we arrived home we reassembled it and hung it to the wall with a hook in the livingroom: almost a piece of furniture! And every morning my bike and I use to wander through the street of Madrid.